I do not post daily on this blog year round. I do have 31 days in October coming up where I will be sharing each day in October 1 verse each day to pray for our HOMES! I do hope you’ll join me! I think there may have been some confusion when I’ve shared about my October 31 day series where I will be posting DAILY in OCTOBER. I probably need to be more clear that those daily posts do not go year round! I’m sorry for the disappointment! 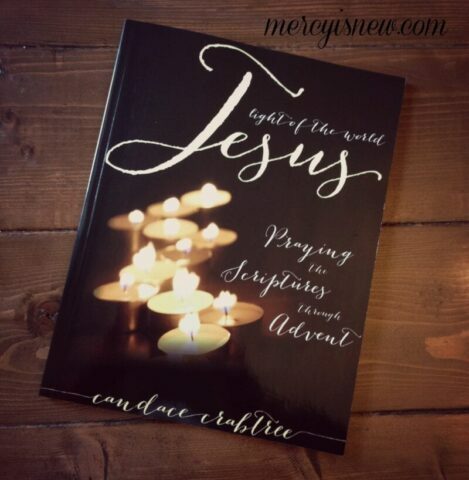 Just in time for Advent this year, Jesus, Light of the World is at AMAZON now! Woot!! If you read this devotional last year for Advent, I would be SO thankful if you could go over and leave a review for me!! Would mean a lot to me! Find the devotional (print copy) on amazon here. Purchase the ebook in my shop here. I won’t share all the details but there is going to be an AWESOME sale happening in October for my devotionals!! 🙂 If you’re a subscriber you will hear about it first!